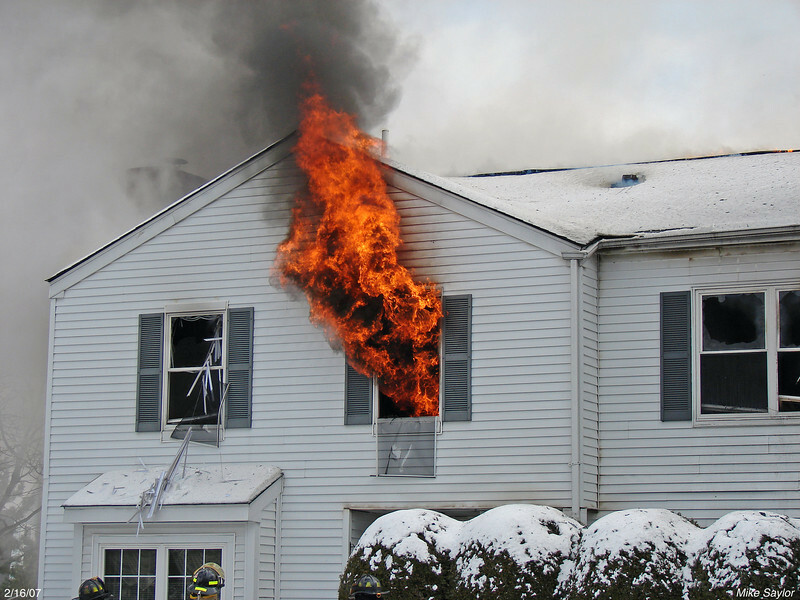 This condo fire occurred on February 16, 2007. It spread quickly from the garage to the attic of the residence through the lightweight framing of the structure. An adjoining unit was damage as well. The majority of these photos were shot by Mike Saylor.